This luxury shaving gift set contains our very popular handmade Irish Stout and Seaweed Shaving Soap. The shaving brush is made from 100% natural boar bristle which is excellent for traditional shaving. 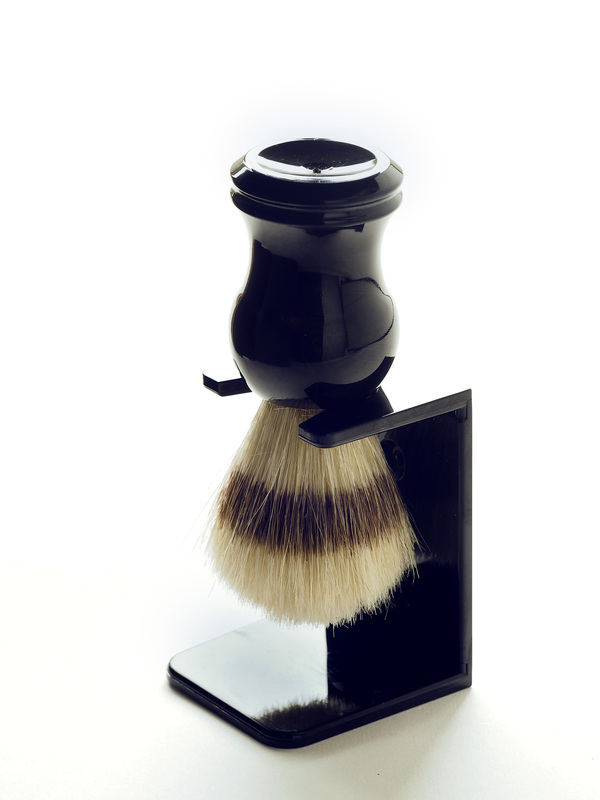 The set also contains a stand for the shaving brush for easy storage and drying. 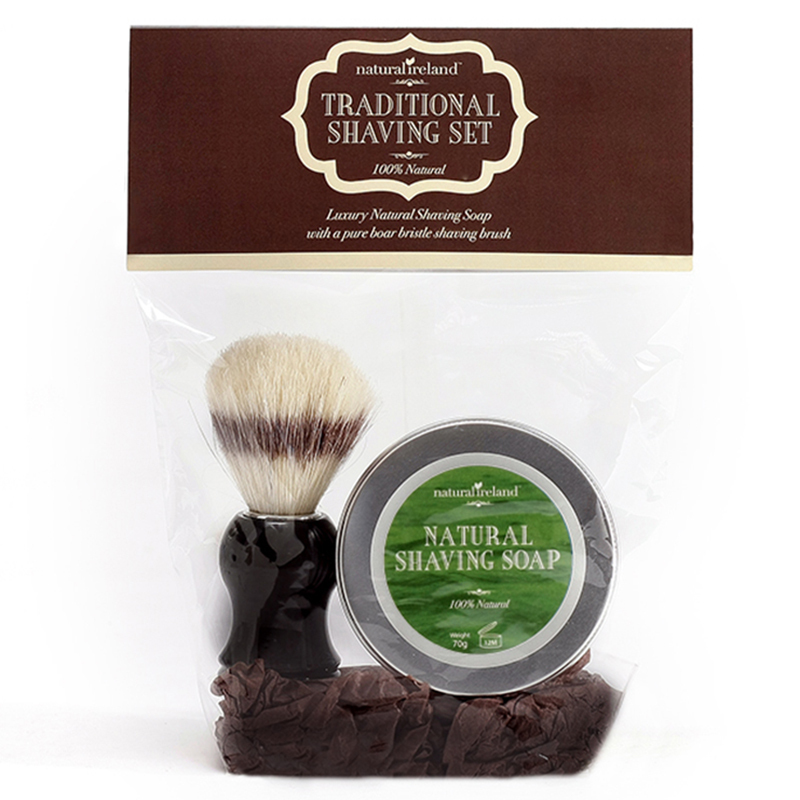 This shaving set is designed to deliver a superior wet shaving experience. 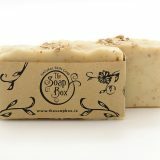 Luxury Irish Stout and Seaweed Shaving Soap is a natural shaving soap which is handmade in Ireland. 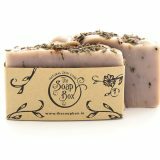 This shaving soap has the added benefits of Irish seaweed granules. 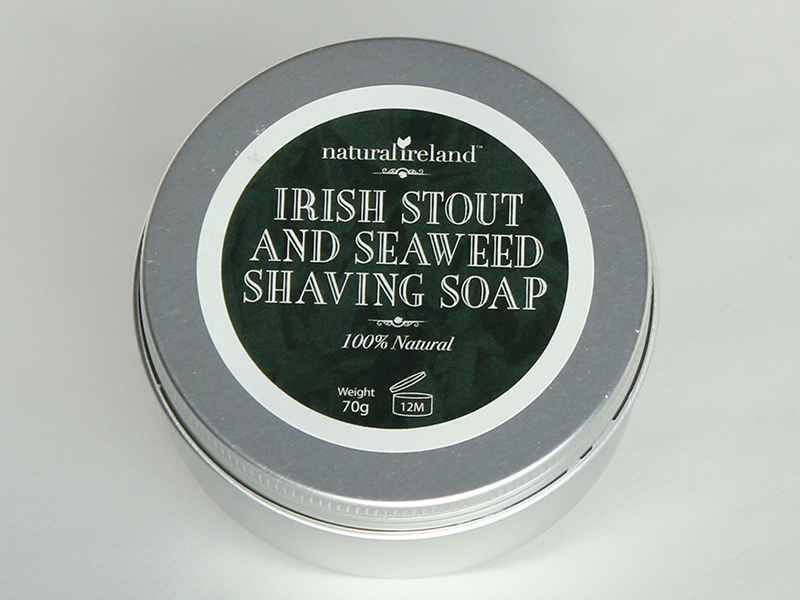 Irish Craft beer is also added to give this shaving soap a wonderful pure beer fragrance, when combined with seaweed it is a truly distinctive scent which is unique in the marketplace. 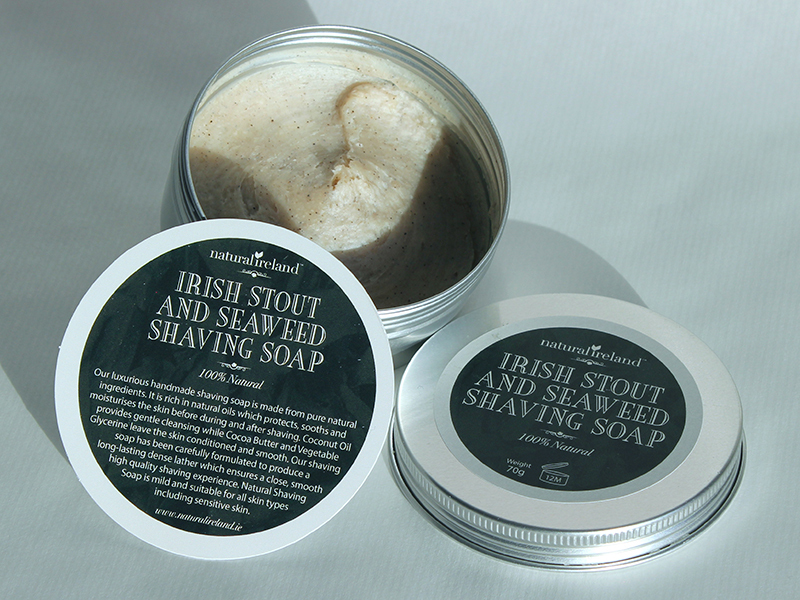 Irish Stout & Seaweed Shaving Soap is a semi solid, luxury lathering, skin friendly soap. It has been carefully formulated to produce a fine, cushioning and long-lasting dense lather which provides a protective barrier between the skin and the raxor ensuring that your skin is protected from razor burn and irritation. This dense lather protects the skin during shaving. This soap is made from 100% natural ingredients including a mixture of oils and butters which are naturally moisturising for the skin. Coconut Oil provides gentle cleansing while Cocoa Butter and Vegetable Glycerine leave the skin conditioned and smooth. Our shaving soap also harnesses the benefits of Irish seaweed which contains a wealth of essential vitamins, minerals, amino acids and antioxidants that helps to keep the skin revitalized, moisturised, and nourished Our Irish seaweed is sourced in Donegal along the Wild Atlantic Way. 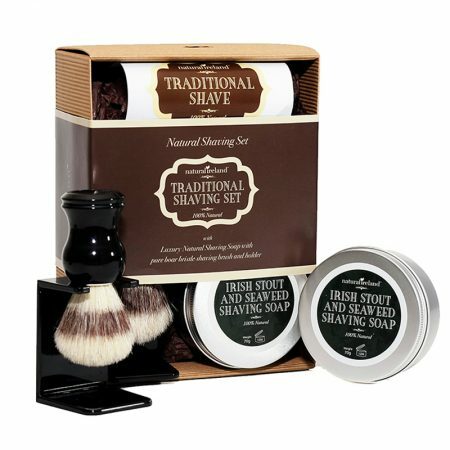 This shaving soap is easy to foam and is designed to be foamed in the container. Simply wet the shaving brush by running it under hot water. There is no need to add water to the container. Lather up the soap by using circular motions directly in the container. If you want more lather simply wet the shaving brush again. This should take less than 60 seconds for the perfect lather. Natural boar hair brush with shaving brush stand. Our shaving brush is made from 100% natural boar bristle. A natural hair brush is essential for a great shave. By virtue of its numerous bristles, a shaving brush is the best way to generate a rich, warm and silky lather. A rich lather is important because it protects and lubricates the skin. The gentle friction of the bristles on your face as you lather softens your beard and opens the pores. This action is also exfoliating, removing dead surface cells and preventing in-grown hairs. Our shaving brush is ideal for ensuring adequate moisture is placed on your face when shaving: it captures and transfers the moisture from your shaving bowl through the bristles to your skin and beard. This is a far more efficient method of wetting your skin than cupping water in your hands and bringing it to your face when shaving, which is what you have to do without a shaving brush. 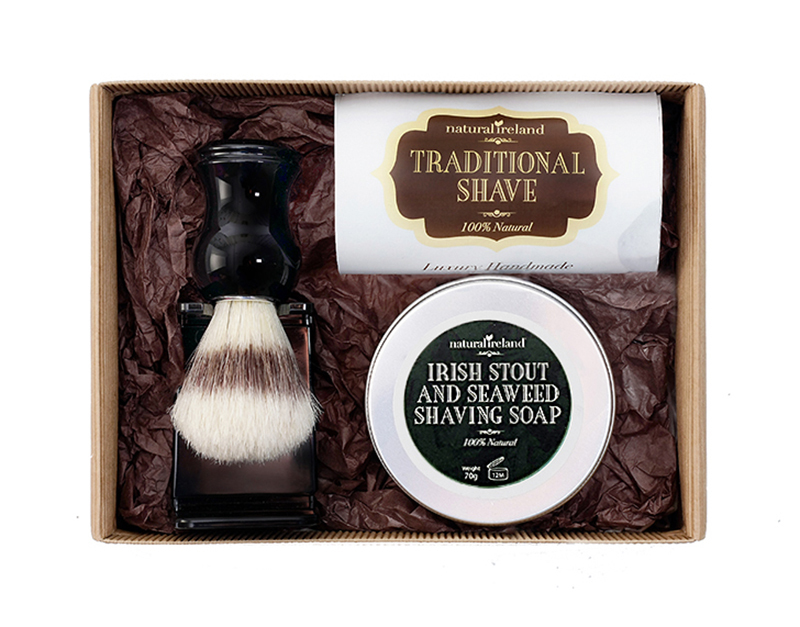 Be the first to review “Shaving Gift Set with Irish Stout & Seaweed Shaving Soap & Boar Bristle Brush and Stand” Click here to cancel reply.